At the same time, the Board also selected Todd Ronnei of Minnesota for another term as its chairman. The 2014 AFDCS officers will be Lloyd de Vries of New Jersey, president; Michael Litvak of California, executive vice president; Mark Goodson of Indiana, first vice president; Ralph Nafziger of Oregon, recording secretary; and Barry Ellis of Indiana, treasurer. AFDCS officers are not compensated, nor reimbursed for their travel expenses. The Executive Committee, which also includes the executive director, immediate past president, editor, membership and education chairs, and the general counsel, meets annually at Americover, the society's annual show and convention, which in 2014 is being held Aug. 15-17 in Somerset, N.J., and conducts other business by mail ballots as needed. The AFDCS board will also meet at Americover and conduct other business by mail ballots as needed. Statistics show an increase in first day cover exhibiting in over the past four years. According to Alan Warren, veteran gold-medal exhibitor and Judging Panel Liaison for Americover 2014, the number of FDC exhibits in 2013 at World Series of Philately shows plus AmeriStamp Expo was more than twice that of 2010 — 62 compared to 30. The figures did not include Americover 2013 or 2010, the American First Day Cover Society’s annual show, where virtually all the exhibits are of FDCs. Warren also notes that there were more AFDCS Best FDC Exhibit awards presented in 2013 than in any of the previous years: 11. "This shows that first day cover exhibiting is coming of age," he said. "Many mainstream exhibitors are now exploring FDCs." Andrew McFarlane’s “The 1947 U.S. Postage Stamp Centenary" won the Grand at OKPEX in October and his "First Days of the 1929 George Rogers Clark Commemorative" won the Reserve Grand in Minnesota in July 2013. The American First Day Cover Society is the world's largest not-for-profit organization dedicated to the collecting of FDCs. Besides supporting first day cover exhibiting by offering awards and advocacy, the AFDCS also publishes its award-winning journal First Days eight times a year as well as handbooks, sponsors the annual Americover celebration of FDC collecting (a WSP show), and produces the Court of Honor series of FDCs honoring outstanding cachet artists. The American First Day Cover Society, the largest not-for-profit organization in the world specifically for FDC collectors, has elected four people to its Board of Directors for three-year terms beginning Jan. 1, 2014. Three were incumbents, and the fourth is returning to the Board after an absence of a year. Ronnei, de Vries, Lewin and Goodson were elected to the Board, which voted this summer to reduce the number of elected directors from 15 to 12. There were no write-in votes this year. There were 160 ballots submitted, of which 143 were valid. Ronnei is presently Chairman of the Board of Directors, de Vries is president (which does not require prior election to the board), and Goodson is first vice president. Lewin, who had served previously on the board, is complaints and ethics chair. President de Vries thanked Fred Levantrosser and the Motor City Stamp and Cover Club for their work in counting the ballots in this year's election, and the Nominating Committee chaired by D.A. Lux for recruiting the candidates. AFDCS directors are not compensated, nor reimbursed for their travel expenses. The board meets annually at Americover, the society's annual show and convention, which next year will be held Aug. 15-17 in Somerset, N.J., and via mail ballots as needed. The phone will not be answered during these periods, and emails will not be monitored. Except as indicated above, the Central Office is normally open six days a week, Thursday to Tuesday (closed Wednesdays). 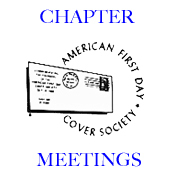 The American First Day Cover Society is now preparing a new edition of its popular Current Cachetmakers Directory. Publication is scheduled for December 2013. Cachets are the designs on first day cover envelopes and cards that enhance and amplify the stamp subject. Production methods range from home computer printing to engraved printing to individualized paintings. There can be hundreds of different cachets for each U.S. stamp. The directory will include names, addresses, dates of the first cachets produced, the frequency with which cachets are produced, and other information. 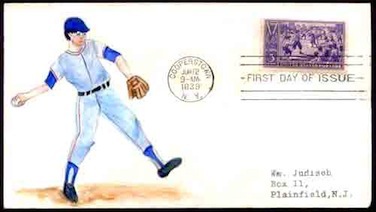 It is especially valuable to collectors specializing in a topic or issue who want to obtain as many different first day covers as possible for a stamp or set. Ron Allen of Lexington, Kentucky, is the new compiler of the directory, and is soliciting information from cachetmakers, whether or not they are members of the AFDCS. There is no charge for being listed. "As more and more FDCs are sold on eBay and other Internet sites, we are finding more and more cachetmakers who are not listed in the latest directory," Allen said. "We want to list every active cachetmaker, whether or not they are members of the AFDCS." Those interested in being listed in the next edition of the AFDCS Current Cachetmakers Directory should complete this online form to provide Allen with the following information: Name of the cachet line, the cachetmaker's full name, mailing address, e-mail address, telephone number(s), website address, Scott number and year of first cacheted FDC produced, whether cachets are produced for all issues or only certain issues, and for what countries and topics cachets are produced. Cachetmakers who are already listed should verify their information with Allen by contacting him with an update or just stating that the current listing is correct. Also, the cachetmaker might want to mention whether FDCs for U.S. Sc. 4503 Jazz issue (2011) were produced and are still available, since Allen collects them. He can be reached at cmdirectory@afdcs.org or PO Box 12229, Lexington, KY 40581-2229. As the largest not-for-profit organization in the world specifically for FDC collectors, the AFDCS sees fostering and promoting first day cover collecting as one of its missions, and this directory is part of that effort. Future meetings of the Board of Directors of the American First Day Cover Society will now be open to the public, with certain restrictions, under a bylaws amendment approved by the Board at its meeting August 15, 2013. The board meets in person once each year, in a meeting preceding Americover, the society's annual show and convention, and also has discussions and takes votes throughout the year via mail and e-mail. The next in-person meeting is scheduled for August 14, 2014, in Somerset, N.J. The restrictions include discussions about personnel, contracts, discipline, and legal matters. The proposal was reviewed and edited by the AFDCS Bylaws Committee, which includes three attorneys and one paralegal. "This is something I've wanted for a long time," said AFDCS president Lloyd A. de Vries, who initiated the petition that led to the change. "Needless secrecy engenders suspicion, and our members have a right to see that the AFDCS is running right and in good shape." The Board also approved reducing the number of directors elected each year from five to four, in accordance with the bylaws, which allow for annual elections of anywhere from three to six. The board will now consist of 12 elected directors, plus as many as three serving ex officio (president, general counsel, editor). There are seven candidates running in this year's election. A 2014 budget with a projected surplus (contingent upon meeting fund-raising goals) was also approved. Jerry Katz, Henry Scheuer, and Ralph H. Nafziger are the winners of the 2012 Philip H. Ward Award for Excellence in First Day Cover Literature, presented annually by the American First Day Cover Society. 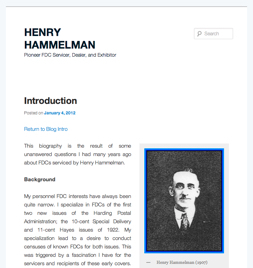 Katz wrote "Henry Hammelman: Pioneer Servicer, Dealer, and Exhibitor," published on the Internet at henryhammelman.wordpress.com. Hammelman was active in the first half of the 20th century. Scheuer's "The King of First Day Covers" appeared in the Fall 2012 issue of The Brookman Times and earned second place honors. Nafziger, who also took third place last year, penned "The Oregon Territory Issue," which appeared in the April 2012 issue of First Days, the official journal of the AFDCS. The Ward Committee also gave a special recognition award this year to Alan Warren for his long and devoted service to first day cover literature and research. Among his other credits, Warren has published a "Question Box" column in nearly every issue of First Days, dating back to 1955. Back issues of First Days are available for $4.00 each postpaid within the U.S. from Jeffrey Bennett, 1601 River Farm Drive, Alexandria, Va. 22308. A searchable electronic archive of every issue of First Days from its inception in 1955 through 2011 is available on DVD for $79 postpaid. The awards will be presented at the AFDCS membership meeting during Americover 2013, the annual show and convention of the AFDCS, which this year is being held August 16-18 at the Embassy Suites Cleveland-Rockside in Independence, Ohio. Seven national stamp societies will participate in Americover 2013, the annual World Series of Philately show and convention of the American First Day Cover Society, which is being held August 16-18 in Independence, Ohio. Of course, the annual meetings of the American First Day Cover Society are being held during Americover 2013: The Executive Committee and Board of Directors meet Thursday evening. The AFDCS Business Meeting is Saturday morning, and the Membership Meeting, an open forum, is Sunday morning. Also meeting at the show are the American Ceremony Program Society (Chapter #58), the Cachet Makers Association (Chapter #65), the 7-1-71 Affair (Chapter #50), Art Cover Exchange (Chapter #79), and The Virtual Stamp Club (Chapter #84). The ACPS, CMA and 7-1-71 events are all the annual meetings for those groups. 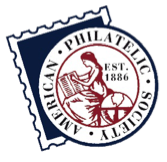 ESPER (Ebony Society for Philatelic Experiences and Reflections, Chapter #91) and the American Association of Philatelic Exhibitors are also participating. Americover 2013 will also feature a first day ceremony for the 10-stamp booklet version of "A Flag For All Seasons" U.S. stamps, two bourses (commercial dealers and cachetmakers), a banquet, seminars, a youth table, a hospitality suite, a live auction and two silent auctions, seminars, a pre-show tour of the area, and a post-show evening dinner event. 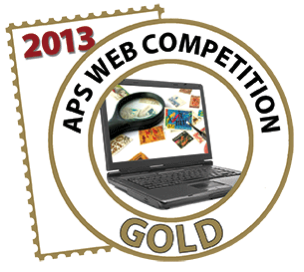 For the second straight year, the American First Day Cover Society's website, AFDCS.org, has received a Gold award in the American Philatelic Society's Chapter and Affiliates Web Awards competition. While 27 chapters and affiliates entered the competition this year; only four Golds were awarded. The AFDCS is also one of only two entrants to win Golds in both years of the competition. The AFDCS webmaster is Todd Ronnei, a paralegal in Minnesota who also serves as Chairman of the society's Board of Directors. He took over the website in 2009. "The website is now an essential element in the continuing success of the society," said AFDCS executive secretary Doug Kelsey. The American First Day Cover Society is the world's largest not-for-profit organization dedicated to the collecting of FDCs. In addition to publishing its award-winning full-color journal eight times a year, it holds Americover, a World Series of Philately show dedicated to FDCs; and sponsors awards for first day cover exhibits at other shows. Americover 2013, the 58th annual convention and exhibition of the AFDCS, takes place from August 16-18, 2013 at the Embassy Suites Hotel in Independence, Ohio. 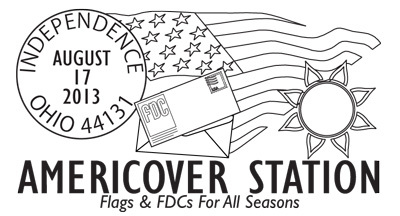 The theme of this year’s convention is Flags & FDCs For All Seasons. 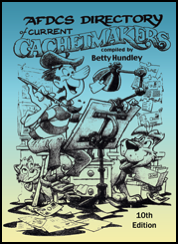 The official show cachet, thermographed in red and blue, was designed by Paul Johnson, a graphic design artist who has designed cachets for Panda Cachets and the Graebner Chapter of the AFDCS for 30 years. Johnson also designed the show cancels, shown in an earlier blog entry. Covers will be available at the show. A set of three will be $10. Covers may also be ordered online (scroll to the bottom of the page). Design a cachet for the stamps, A Flag for All Seasons, seen at right. A cachet is any design which has been applied to an envelope usually on the left side of the envelope. A cachet may be created by any means— printed, rubberstamped, hand drawn, computer-generated, stickers, etc. A first day cachet should be related specifically to the stamp, in this case, the Flag for All Seasons stamps. Your cachet should include a U.S. flag somewhere in the design and preferably in a scene that is related to one of the four seasons. Examples: a flag over a football stadium, a flag being carried in a parade, a flag in the hands of a snowman. Or think of places where the flag is flown and draw your cachet flag design to show a flag flying over a school, the flag over the White House or other government building or monument. After the cachet is designed, turn the envelope over and write the complete name, mailing address, and age of the cachet artist. Send the cachet to: MaryAnn Bowman, P.O. Box 1451, Waukesha, WI 53187. These stamps will be issued in a booklet of 20 at StampShow in Milwaukee in August. They will be added to the submitted covers and receive first day cancels. The following weekend, at Americover 2013, some of the entries will be displayed. 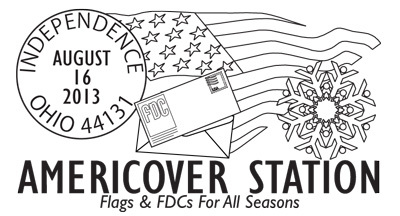 Americover is the stamp show of the American First Day Cover Society where a booklet of 10 of the Flags for All Seasons stamps will be issued. All covers will be returned to the artist along with a participation gift. Select designs may be chosen for publication. Expenses for this project have been donated - there is no additional cost, other than the cost to mail the cachet to the project coordinator. Download a flyer for this project. 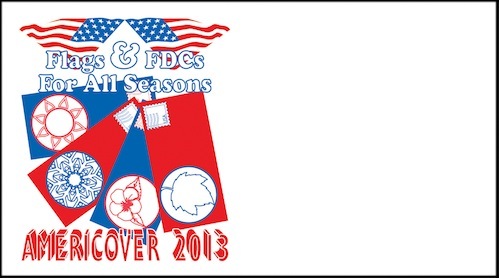 The theme of Americover 2013, to be held August 16, 17 and 18 in Independence, Ohio, is Flags & FDCs For All Seasons. A set of three show covers is $10. Covers will be franked with one of the new Flag stamps issued on Friday the 16th (see previous blog entry). 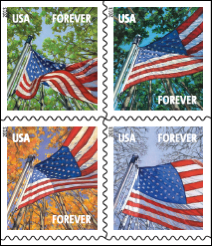 Details are now available for the First Day of Issue ceremony for the A Flag For All Seasons stamps to be issued at Americover 2013. Nominations are now open for the Board of Directors of the American First Day Cover Society. AFDCS members will elect five candidates this fall for three-year terms on the society's board of directors. The board, in turn, elects the officers and a chairman of the board for the 2014 calendar year. The board meets in person once each year, in a meeting preceding Americover, the society's annual show and convention, and throughout the year via mail and e-mail. Members of the board of directors are not compensated nor reimbursed for their expenses. Interested potential candidates may reference Articles IV and V of the society bylaws for more information on the duties and responsibilities of members of the board. Candidates must be members in good standing of the AFDCS, and may nominate themselves. Those interested should contact D.A. Lux, chair of the 2013 Nominating Committee, at dalux2041@gmail.com or via regular mail at PO Box 1831, Allen TX 75013 by July 31st. Last year, it was the "Orange Pantyhose Hula" that created so much fun and commotion. 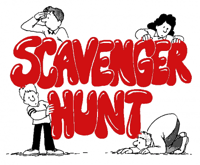 This year, it will be the “Scavenger Hunt.” While it's not as wild and crazy as the "Orange Pantyhose Hula,” it's guaranteed to get everyone involved at the President's Awards Banquet at Americover 2013. AFDCS Publishes New Current Cachetmakers Directory — Free! A new edition of the American First Day Cover Society’s Current Cachetmakers Directory is now available, as a free download for both members and non-members. It can be obtained by clicking on the image below. Compiled by Betty Hundley, this is the first new edition of the directory in more than five years. It includes names, addresses, dates of the first cachets produced, the frequency with which cachets are produced, and other information. The directory is especially valuable to collectors specializing in a topic or issue who want to obtain as many different first day covers as possible for a stamp or set. A limited number of printouts will be available for sale at AFDCS tables at upcoming shows, such as StampShow 2013 and Americover 2013, the AFDCS’ annual first day cover show and celebration, which this year is being held near Cleveland. However, collectors are encouraged to download and, if desired, print out their own copies. Americover 2013, the American First Day Cover Society's annual World Series of Philately stamp show and convention, will host the biggest cachetmakers bourse of the year in suburban Cleveland, Ohio. 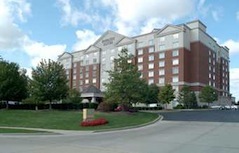 Americover 2013 will be held August 16-18 at the Embassy Suites in Independence, Ohio, and the Moonlight Cachetmakers Bourse will be held Saturday afternoon and evening. A cachetmakers bourse is an event where producers of first day covers – those who design and print the "cachets" or designs on FDCs – sell their products. They are only permitted to sell their own cachets, during a limited time. In this case, the Moonlight Cachetmakers Bourse will run from 5 p.m. to 9 p.m. It's considered by many a highlight of Americover. Many of last year's participants are expected to sign up for the 2013 edition. The table fee for a Cachetmakers Table is $100, but there is a $10 discount if the cachetmaker is staying at the show hotel (two nights maximum; $20 discount), and a further $10 discount for those who participated in last year’s bourse. Cachetmakers who wish to sign up can download the application or contact Howard Tiffner via email at hctcovers@aol.com, by regular mail at P.O. Box 771, Lyndhurst, NJ 07071, or by telephone at (201) 563-8349. Americover 2013 also features a commercial dealers bourse, a national-level exhibition of first day covers, a first day of issue ceremony, a banquet, meetings, a youth table, a hospitality suite, auctions, seminars, a pre-show area tour and a post-show dinner event. A forum by a postal official involved with first day covers is also likely. Americover Show Hotel - Book It! If you're planning to attend Americover 2013 (and I hope you are), I also hope you're staying in the show hotel. Normally, we hope for lots of "room-nights" (number of rooms times the number of nights they're occupied by Americover people) just because it benefits the AFDCS and the show's bottom line. This year, I urge you to stay at the show hotel, the Embassy Suites, because it's a good deal for you. Not only do we have a $99 per night rate (the 22nd year in a row below $100! ), but it includes a free breakfast buffet (with cooked-to-order omelets and more) and a nightly "manager's reception," with munchies and beverages (including beer). About those benefits to the Society: It costs tens of thousands of dollars to put on a WSP-level stamp show like ours. Only some of that is covered by the dealers' bourse fees. We make a deal with the hotels: The people attending our show will fulfill at least a certain number of room nights and we will spend at least a certain amount at our food functions. Otherwise, the AFDCS has to pay for the use of the hotel's facilities, and those penalties start in five figures. We don't charge admission to Americover, and, yeah, I see hotels in the Independence area as much as $16 less a night. But staying at the show hotel helps support the AFDCS - and this year we got a really good deal for you, too. Use the code "AFD" to get the Americover 2013 rate at the Embassy Suites-Rockside. MaryAnn Bowman and Aimee Devine are the new co-chairs of the American First Day Cover Society’s Youth Committee. Both have professional backgrounds in the field of education as well as much experience working with youth and stamps. Also serving on the committee will be Dave Bennett of California, Chris Calle of Connecticut, Jeff Hayward of New York, Jeff Shapiro of Massachusetts, and May Day Taylor of Maryland. Other members may be added later. Bowman received the first annual Ernest A. Kehr Future of Philately Award in 1991 for her work with youth in stamp collecting. 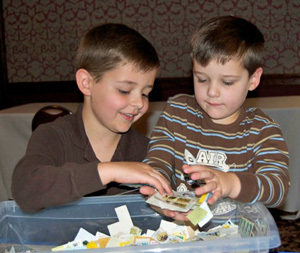 She created the first formal youth area at a national level stamp show in 1982, which has since served as a model for shows from the local to the international level. She also served on the American Philatelic Society Youth Activities Committee and is currently working with the APS on its new Stamps Teach outreach program to schools. She is Youth Director for the American Topical Association and Vice-President of Youth for the Wisconsin Federation of Stamp Clubs (WFSC). She is currently serving on the Council of Philatelists for the National Postal Museum. Originally from Mississippi, Aimee Devine has lived in Wisconsin for the past 10 years. She is editor of the Wisconsin Federation of Stamp Clubs' newsletter and producer of the ATA's Topical Tidbits, a publication for youth. She is a member of the Janesville Stamp Club and Badger Stamp Club and is the leader of the Janesville Junior Stamp Club. She is a member of the APS, ATA, and, of course, the AFDCS. Bowman, Devine and their committee hope to create a portable FDC display that can be downloaded and displayed at youth areas of shows around the country and hold a national non-competitive cachetmaking activity for youth. Longer-range goals include a youth e-newsletter. 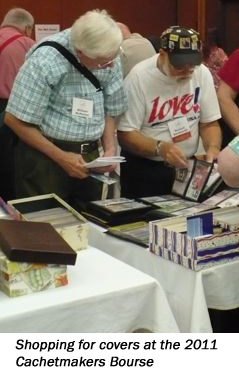 Ken Nilsestuen of Ohio (left) will head the exhibits jury at Americover 2013, a World Series of Philately show that will be held Aug. 16-18 in Independence, Ohio, near Cleveland. Nilsestuen will be assisted by Charles J.G. Verge of Ontario, Allison Cusick, Bill Schultz and Ken Martin, all of Pennsylvania. The prospectus is now available for download here, by regular mail from Kerry Heffner, 17656 K Street, Omaha, NE 68135-3491, or e-mail at exhibits@afdcs.org. The deadline for entering the Americover 2013 exhibition is June 1, 2013, or whenever the 160 available frames fill up, as happened last year. Nilsestuen exhibits FDCs of the 1949 Minnesota Territory issue. His exhibit of the postal history of Algeria has won national golds and a grand award. He is past president of the France and Colonies Philatelic Society and currently treasurer of the Institute for Analytical Philately. Verge exhibits FDCs of the 1959 Dental Health issue, and is a past president of the Royal Philatelic Society of Canada and the American Association of Philatelic Exhibitors. 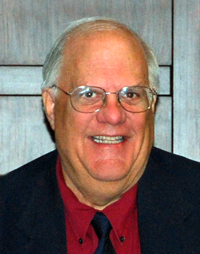 Cusick is a past president of AFDCS and currently serves on the board of directors. He also manages the AFDCS archives at APRL. Schultz is past president of the Pennsylvania Postal History Society and former editor of its newsletter, and exhibits Pennsylvania postal history, postcards, and Rattlesnake Island Post. 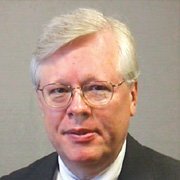 Martin, the executive director of the American Philatelic Society, collects non-denominated issues, and covers documenting the mechanization and automation of the mails. He has a thematic exhibit on blood donation, as well as a collection of blood-related FDCs. As a WSP show, the winner of the Grand Award at Americover 2013 will be part of the Champion of Champions competition at Stampshow 2014. Charles J. O'Brien III, winner of the 2012 Grand with "The U.S. Sesquicentennial Exposition," will represent Americover this summer in Milwaukee, Wis. In addition, if six or more competitive single-frame exhibits are entered, the Curtis B. Patterson Award recipient for the best single-frame exhibit will be invited to enter the APS Single-Frame Champion of Champions competition at AmeriStamp Expo in 2014. It’s time again for me to ask for your support of the AFDCS by donating 1-3 quality covers or other philatelic material to our Americover 2013 Hospitality Suite Silent Auction. I'm getting started on this project earlier this year because I will be involved in a couple other projects between now and the convention. Thank you for supporting the AFDCS! The Board of Directors of the American First Day Cover Society has voted to make the digital edition of First Days, its award-winning journal, available to all classes of membership. First Days, which is published eight times a year, is one of the principal benefits of membership in the AFDCS. The exact date of implementation depends on several technical issues, which should be resolved in the next few months. The AFDCS offers several levels of membership: Online, which does not include a printed copy of First Days; Regular, which does; Silver and Gold, which allow members to express their support of the AFDCS and first day cover collecting; and Life. Previously, all classes except Regular had access to the online version of First Days. “We’re pleased to offer this benefit to all members of the AFDCS at no additional cost, said webmaster Todd Ronnei. "Philatelic publishing is becoming increasingly digital, and this benefit is a reflection of that." The AFDCS also offers Family (which do not include a separate copy of the journal) and Youth memberships at reduced cost. These, too, will have access to the digital edition. The American First Day Cover Society is seeking exhibits for Americover 2013, a World Series of Philately show to be held Aug. 16-18 in Independence, Ohio, near Cleveland. The prospectus is now available for download, or by regular mail from Kerry Heffner, 17656 K Street, Omaha, NE 68135-3491, or e-mail at exhibits@afdcs.org. The deadline for entering the Americover 2013 exhibition is June 1, 2013, or whenever the 160 available frames fill up, as happened last year. As a WSP show, the winner of the Grand Award at Americover 2013 will be part of the Champion of Champions competition at Stampshow 2014. Charles O'Brien III, winner of the 2012 Grand with "The U.S. Sesquicentennial Exposition," will represent Americover this summer in Milwaukee, Wis. The three-day World Series of Philately show will be held at the Embassy Suites Cleveland-Rockside Hotel, and there is a special Americover room rate of $99. There also will be a first day ceremony, two bourses (commercial dealers and cachetmakers), a banquet, meetings, a youth table, a hospitality suite, a live auction and two silent auctions, seminars, a pre-show tour of the area, and a post-show evening dinner event. A forum by a postal official involved with first day covers is also on the schedule. The American First Day Cover Society, the largest not-for-profit organization in the world specifically for FDC collectors, has chosen Howard Tiffner, of Lyndhurst, N.J., as bourse chair for Americover. 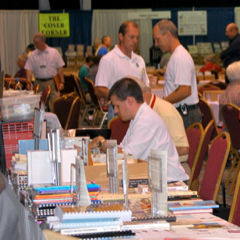 The 2013 edition of the annual stamp and cover show and AFDCS convention will be held this summer in Independence (Cleveland), Ohio, August 16-18. Tiffner is also the bourse promoter for NOJEX, another World Series of Philately show, and for some 20 years, assisted Michael Mellone with his shows, including quite a few Americovers. He is also a long-time cover dealer, doing about six World Series of Philately shows a year. "I know Howard will be a real asset to us," AFDCS president Lloyd A. de Vries said. "He understands both sides of the dealer-bourse promoter equation." Dealers interested in participating in the bourse should contact Howard Tiffner at hctcovers@aol.com or (201) 933-9542. Americover 2013 will be held at the Embassy Suites Cleveland-Rockside in Independence, Ohio, about 10 miles from Cleveland, on the weekend following the American Philatelic Society's StampShow 2013 in Milwaukee. Americover will feature meetings, seminars, a World Series of Philately exhibition, both a dealer bourse and the largest cachetmakers bourse of the year, a banquet, several auctions, a hospitality suite, a pre-show tour and a post-show dinner/entertainment event. For the 22nd year in a row, the special Americover room rate at the show hotel is below $100, and includes an evening reception, free full breakfast and free Internet service in the guest rooms. The discount code is "AFD." American First Day Cover Society Executive Secretary Doug Kelsey is a 2012 recipient of the American Philatelic Society’s Nicholas G. Carter Volunteer Recognition Award. Kelsey was one of five recipients in the category for National Promotion/Service. Kelsey, the AFDCS executive director/secretary since 1991, has been honored previously for his service to the AFDCS. In 2001 he received the Society’s Glenn Michel Service Award and in 2008 was awarded an honorary life membership. Congratulations, Doug, on the APS Volunteer Recognition Award! Entries are now being accepted for the American First Day Cover Society's annual Dr. Earl Planty Cachet Contest. 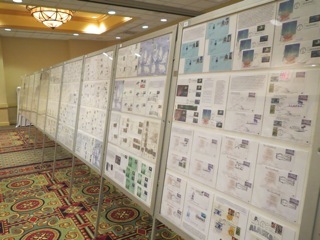 The best FDC designs from 2012 will be chosen in 16 categories. The entry fee for adults is $5 if the cover is donated to the Society, or $10 if the cachetmaker wants the FDC returned. ($2 for youth entries.) A complete set of rules and an entry form can be found in the December 2012 issue of First Days, the official AFDCS journal, or downloaded here. One change this year is that the first and second place winners in the Rookie of the Year category cannot be the same person. "We want to encourage more artists to try their hand at cachetmaking, and more new cachetmakers to enter the contest," said contest chairman John Byrnes of Ajo, Ariz. Some of the categories include hand-painted; hand-colored; computer-produced; one-color; event (not first-day) covers; Rookie of the Year and two age groups for young cachetmakers. There is also the top award, which cites what the three judges feel is the best cachet submitted in the entire contest, regardless of the media used. In each category except noncommercial and youth, a minimum of ten identical covers must be produced. 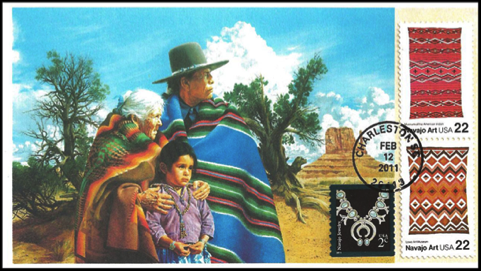 Last year's winner, Chris Calle of Connecticut, entered the above-pictured first day cover for the gummed coil version of the two-cent Navajo Necklace stamp (Sc. 3758B). It also won the Hand-Painted/Mechanically-Reproduced category. As winner of the top award, Calle may enter the contest again, and win in individual categories, but his 2012 cachets are not eligible for the Grand award. The results of the contest will be announced on Friday evening, August 16, at Americover 2013 in Independence, Ohio, and later that evening online. The Board of Directors of the American First Day Cover Society has re-elected the Society's officers for another one-year term. The 2013 AFDCS officers will be Lloyd de Vries of New Jersey, president; Michael Litvak of California, executive vice president; Mark Goodson of Indiana, first vice president; Ralph Nafziger of Oregon, recording secretary; and Barry Ellis of Indiana, treasurer. AFDCS officers are not compensated, nor reimbursed for their travel expenses. The Executive Committee, which also includes the executive director, immediate past president, editor, membership and education chairs, and the general counsel, meets annually at Americover, the society's annual show and convention, which this year is being held Aug. 16-18 in Independence, Ohio, near Cleveland. The Executive Committee and AFDCS board will meet at Americover and each body conducts other business by mail ballots as needed. The Board of Directors of the American First Day Cover Society has voted to censure Foster E. Miller III, a member of the Board and the AFDCS Executive Committee for admitted misconduct affecting other organizations and harming the reputation of AFDCS. The AFDCS Board based its action on the American Philatelic Society's investigation and decision to suspend Miller for five years for embezzling funds from NAPEX while serving as its treasurer. In addition, while suspended from APS membership, Miller may not vote as a member of the AFDCS executive committee and board of directors. He may continue to serve as Membership Chair and in other positions with the AFDCS. "Foster's misconduct as NAPEX treasurer is extremely disappointing to his colleagues in the AFDCS," said Chairman of the Board Todd Ronnei. "While we acknowledge all the good work he has done and will continue to do for the AFDCS, the board felt this censure and suspension of his voting privileges was necessary and appropriate under the circumstances." The resolution can be read here. Miller has admitted wrongdoing, made restitution to NAPEX, and apologized. The present AFDCS Auction Committee has been putting together the two annual journal/website auctions for the past 11 years. The Committee is just completing the compilation for the next Auction 76 which will appear in the March issue of First Days. At this time of year, we typically have a large quantity of material to start working on the following auction which will be published in the September issue. This is the first time during this 11-year period when we have almost no new material to write up for that September auction (#77). Yes, we will be receiving about 300 items from the Cachetmakers Contest donated entries, but we're still going to need at least 700 more items to put together a decent auction. Many of our members have contributed material in the past, with some of you doing so on a regular basis, and your generosity is greatly appreciated. I'm now asking that you help the AFDCS in this current "drought" by putting together a nice quantity of interesting covers, etc. and shipping it to me at your earliest convenience. While we are always in need of classic covers and covers from current cachetmakers, we would greatly appreciate any other interesting items that you wish to contribute.